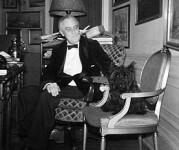 FDR addresses a raucous crowd defending a false accusation about using a U.S. Navy Destroyer to recover his beloved dog Fala. 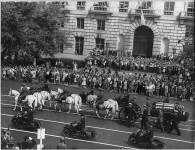 Watch rare color footage of President Franklin D. Roosevelt’s funeral on April 12, 1945. 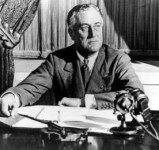 That same day, Vice President Harry S. Truman was sworn into office as the 36th President of the United States. 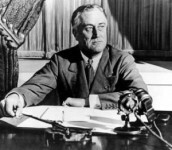 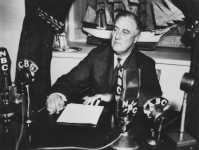 John H. Gooden recalls his memory of the day he found out about the death of President Franklin D. Roosevelt on April 12, 1945.